Why click there? 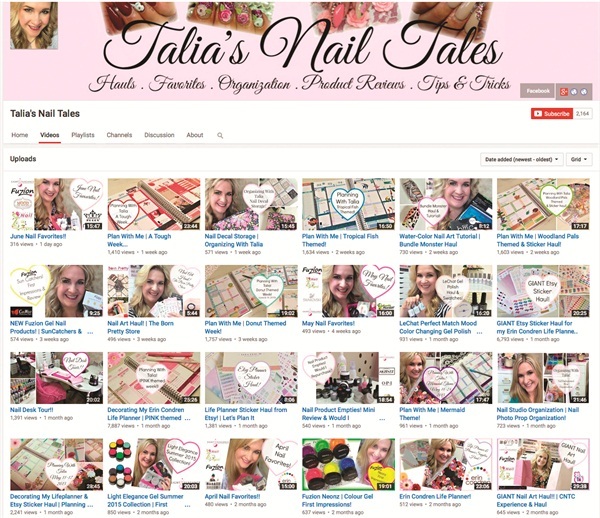 : Canadian nail tech Talia Scherer shares her deep passion for all things nail related on her YouTube channel. She offers product reviews, demos, haul videos, favorites, top 10 videos, organizing tips, and more.